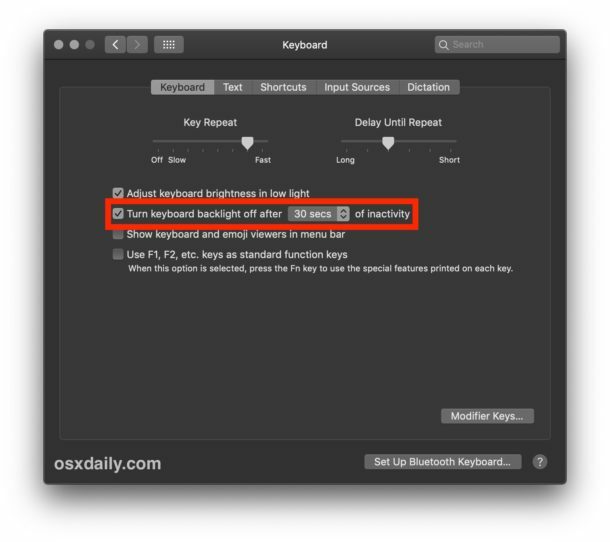 My backlit keyboard dims and then turns off automatically on a MacBook Pro, but on a fresh install of Mojave on a MacBook Air the setting was turned off and the keyboard lights stay on all the time. I wonder what the default setting actually is? I don’t recall making changes either way. Anyway, helpful as always. I really like the keyboard backlighting. I also really liked the glowing Apple logo that they removed from the new DongleBooks. How do you turn the backlight on? I keep my office dark for photoshop work and when I open the lid the keyboard doesn’t light up and I can barely see the keys. How do I fix that? Is it not the best way just to close 💻 for a some time? Anyway it’s a very useful Tip and I‘ll save it, too. Thanks for sharing Paul and have a fantastic start in the new week! A few Reddit users reported lagging keyboard input while this setting is activated, when keys are pressed while the backlighting is off. 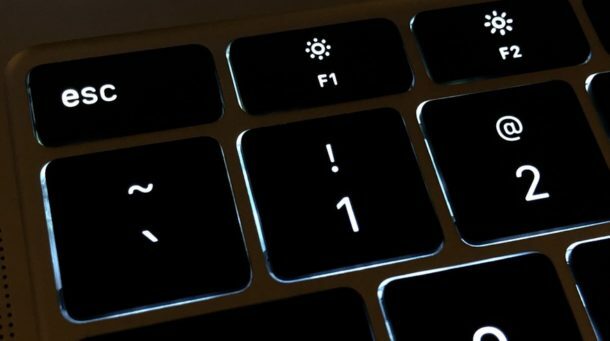 The typed keys won’t appear on the screen until the backlighting is completely on.